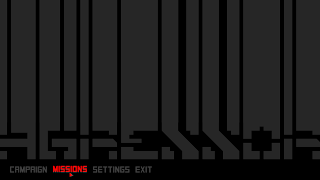 I've also reworked the pause menu to be mouse controlled, in keeping with the main menu. Perhaps what I'm most proud of right now is a tool I've built to speed up level creation. I'm using a 3rd party light script very kindly donated by a talented coder (I've mentioned them before and linked, sorry I don't have the link to hand!) and it doesn't preview in the standard editor, meaning up until this point lighting has been entirely trial and error! I think what I'm going to do from here on in is to copy any updates posted to my development group on here. That group basically became this blog, hence the lack of updates. 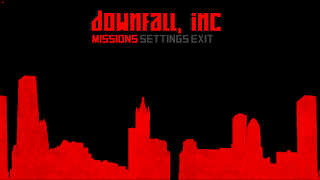 However, the group isn't public..
"Downfall, Inc" has been the working title since the beginning, where it originally matched the game's initial "corporate hitman" theme. The game has changed a lot since then, you're dystopian police not hitmen, so the name really doesn't fit. I want to give the game it's own name, now it's taken shape. "Aggressor" is my favourite so far. It's short, punchy, and fits the brutality of the outfit. In terms of content, I've got enough for a demo with maybe two levels, but there's still some important stuff missing, mainly menus need fleshing out. It's been a little while, apologies for that. I've been focusing on other things so progress has been slow. 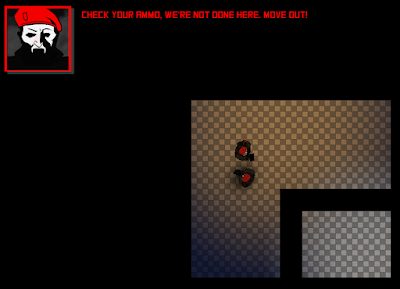 I've nearly finished building the levels for the demo; two missions -- Terminal and Bullet Ride. They have art, and are lit, and have working code. I'm just working on atmospheric stuff, so particles and some bodies and such. I'm about to spruce up the character art also, and work on the hit feedback for enemies. They need to be more enjoyable to shoot, since they're the main focus. Fun bit of trivia, I almost destroyed the project today. Deleted a file with a bunch of references still in the code! Almost wouldn't load anymore. Managed to get around it. Lesson learned -- don't delete stuff until you're 100% sure it's not used by anything. Instead of pressing space to issue a standard move order, you can press control + space to queue up an advanced move order. LMB adds a move point, RMB removes the last point you added. MMB cancels it all. Once you've drawn a path, you hit space to order your partner to move. OPEN AND ENTER -- what it says, get into position around the side of the door, and then on command open it and go in, shooting anyone they see. I've been working alternate days on the game, one day on other work (3D art, portfollio stuff) and the other on Downfall Inc. It's been tough going, stopping and starting isn't great but I have no choice. So, first of all. 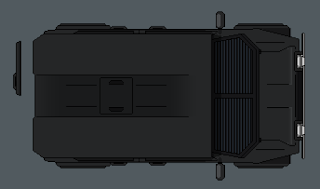 Instead of just appearing at the front door, you ride in the back of this armoured car. It drives you up to the door and you jump out the back. Just a little visual flair to start a mission off. Secondly, you select your gear once you've pulled up to the mission rather than before, again just more for flow than anything. This screen is highly WIP, redesigning it currently. Finally, an idea I've been toying around with is having different characters for different levels. So, for assault flavoured missions you're a two man team that can choose between hard-hitting weapons. 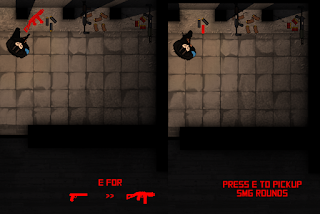 For covert missions, like hostage rescue, you play as a solo agent with silenced weapons. Oh! I almost forgot, I've got it setup now so you can zoom in and out the game view. In case you find you're squinting, or you want more of an overview. 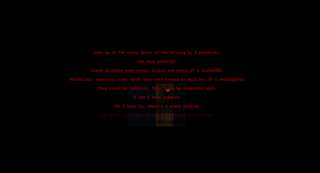 Today I built a rudimentary system for scripting dialogue scenes, to throw a bit of narrative into missions. It's fairly airtight right now so I'm proud of what I've managed to achieve over a few hours of work. It's not really a big post/update as it's fairly self explanatory, it's just a basic system with character portraits and text strings, but I'm happy. Also, I've reworked the menu/frontend system to make it MASSIVELY neater, faster and visually nicer. It's mostly backend stuff but it's so much easier to work with for me, but it means I'll be able to make fancier things easier which'll obviously carry over into the game. Today I fixed two fairly serious issues. First, and worst, was that levels weren't emptied from memory once completed. What that means is, if you loaded up the same mission after competition everyone would still be dead. I've implemented a check when you load a level that forces a level to "purge" itself before you play, making sure everything's back to it's starting position and.. un-dead. 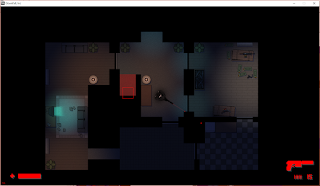 Also, I've fixed a bug where player health didn't carry between floors. On death, it'd go back to full on reset. Now it remembers the amount of health between floors. I recently left my 9-5. I'd hit breaking point. What I was stuck doing was both physically and emotionally draining, leaving me with little spare time and ever less energy in those moments. As a result, even facet of my artistic expression suffered. I stopped doing art in my spare time, and the game really suffered alongside that. I'm not going to make excuses about anything, all I'm going to say is that from here on in, I'm going to try and bring the blog back up to speed. It'll take time, and I've missed a fairly significant chunk, but something is better than nothing. Anyway, for anyone that was actually following this blog; if you're still there, bear with me please. New content hopefully to follow this week. Previously, to pick up a new weapon or ammo, you'd get near it and press "E" when the prompt comes up and you'd grab the nearest item. Now, the placement of your cursor determines what pickup you're interacting with and the E key confirms picking up. I've installed a new lighting script/system in place of the older one. The previous system only handled perfectly square objects, which obviously wasn't useful for rotating objects like doors. This new one handles shadows perfectly. This script comes courtesy of YouTube user Shiny Jumpluff (https://youtu.be/Db-o7lMhuN8). Thanks, it's incredibly useful! I've been posting all of my updates to a private group of friends recently, getting direct feedback on ideas and implementations. It's been a lot more helpful and constructive than, let's be honest, this blog/diary. I'm talking to myself here, and I know it. However, I've decided to update the blog, just so I've got a running diary I can look back at. So what's changed? Well, a lot's been done since my last post. Let's run backwards. These past few days I've been building a few training missions. These are entirely optional and easily bypassed, you can just select the first actual mission from the menu without even looking at these. People don't like hand-holding so much in games, and most people skip tutorials whenever they can. So I opted to make them entirely optional, in the hope that when players get stuck or confused they can flick back to the basic training and figure it out from there.